Ross & Cromarty Roots | Mellon Charles Burial Ground. Mellon Charles is a crofting community NW of Aultbea. The burial ground lies between a MOD depot and a large pond a few hundred metres towards the sea, off the minor road through the village. Picture Added on 22 May 2010. 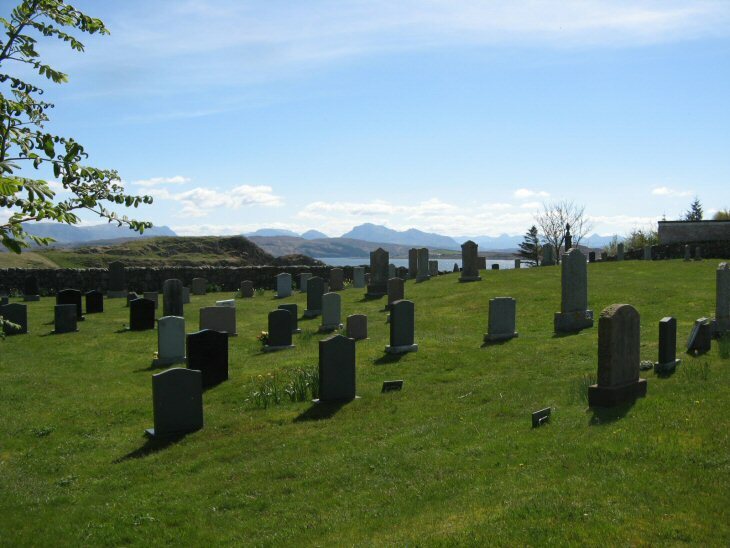 A lovely photo of the Mellon Charles kirkyard. Was here last October had a quick run up to near where the MOD. base was where I spent a lovely holiday in 1960 many years ago. Was looking for friends who I think are buried there but couldn't find the place.Hope to come back again before winter sets in. My friend and I stayed with folk who came from Orkney after the naval base closed here. Added by Jessie Sutherland on 09 August 2015.